Crafted by the hand of Gods, Kerala is one of the most beautiful places in the world. Its sobriquet of God’s Own Country is well deserved. The entire expanse of Kerala is blessed with beauty, unmissable attractions and some of the most scenic places to visit. From the lush hill stations on the Western Ghats to scenic shores by the Arabian Sea, from the backwaters to the wildlife sanctuaries, lush tea gardens to roaring waterfalls, soothing Ayurvedic resorts to the bustling festivals, Kerala abounds in beauty and bliss. The capital city of Kerala, Thiruvananthapuram is one of the best places to visit in Kerala. Built on seven hills, the pleasant city offers interesting sights that are worth a look. It is a historic as well as the cultural hub of the state in addition to being a modern metropolis. There are many tourist attractions in the city, including temples, gardens, palaces, museums, beaches, backwaters, wildlife sanctuaries and many more. Beach and Lake Ayurvedic Resort to bask in the bliss of authentic Ayurveda treatments. Best time to visit: September to March is the best time to plan a visit. Nearest Railway Station – Trivandrum Railway Station in the city with frequent connections all over India. India’s Own Venice, the picturesque town of Alleppey is known for the unique natural spectacle of backwaters. The emerald landscape can be best enjoyed on a houseboat cruise. Experience a secluded holiday on your houseboat with natural bliss for company. Ayurveda, sightseeing and adventures adds to the pleasure of time spent here. Relax in the rejuvenating ambiance, it is one of the places in Kerala you must not miss on your holiday. The Snake Boat Race in Alleppey is another crowd puller. Best time to visit: August to February enjoys the perfect weather conditions to plan your trip to Kerala. While, the second Saturday of August is the occasion of the annual snake boat race competition, also known as Nehru Boat Race. Munnar is a beautiful hill station in God’s Own Country. Situated at an altitude of 1600 m, on the confluence of Muthirapuzha, Kundala and Nallathanni Rivers. It is one of the best places for holiday in Kerala, favored by honeymoon couples from all over the globe. In fact Munnar is voted among the best romantic places in the world. 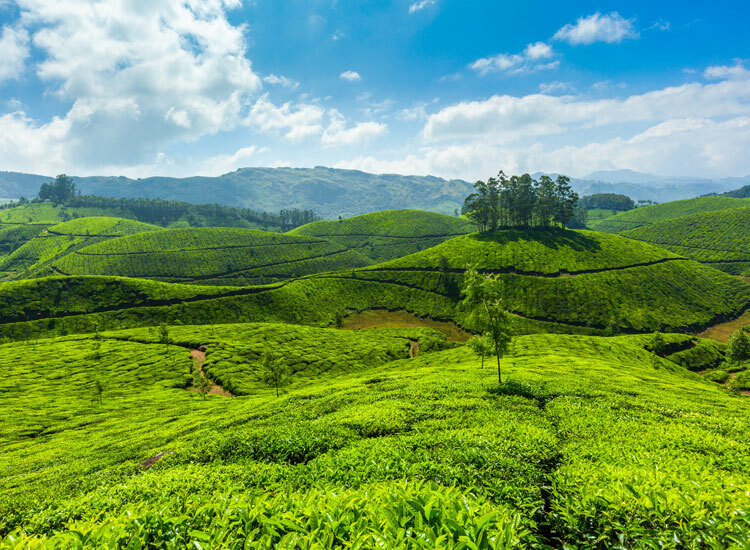 Lush sprawling tea plantations, aromatic spice plantations, lovely lakes, mountain streams, rolling hills, etc. make it truly a wonderful destination. 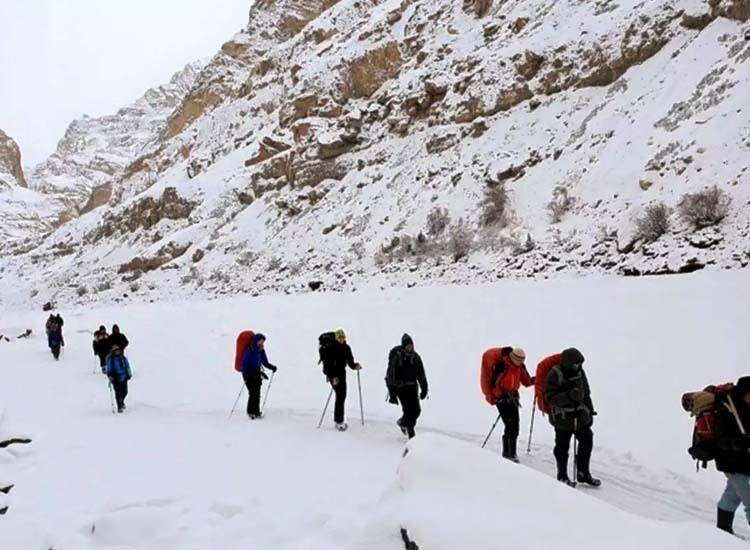 Trekking, cycling, mountain biking, mountaineering, etc. Best time to visit: All throughout the year as the charming hills have their own magical bliss throughout the year. Nearest Railway Station– Aluva Railway Station, 120 km away. Set on the shores of the serene Vembanad Lake, Kumarakom is a picturesque town. The network of waters, the abode of birds, sleepy villages and the abundance of heritage resorts offering Ayurveda make it one of the top places to visit in Kerala. 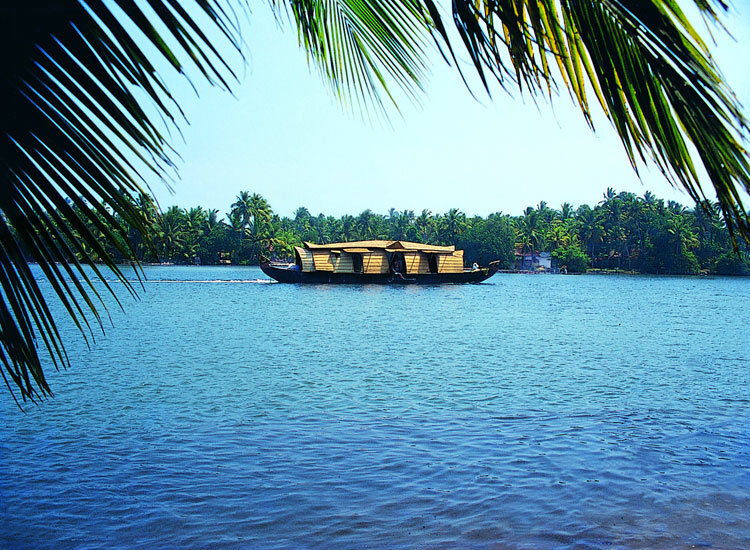 Go cruising on the houseboat, enjoy the Ayurvedic treatments and spot birds in their natural habitat. The tranquil ambiance is perfect for relaxing vacations. Kumarakom is one of the top reasons for holidays in Kerala being favored by travelers and honeymoon couples from around the world. Pathiramanal Island, haven of birds, especially the migratory ones. Best time to visit: August to February offer the best experiences of holiday in Kerala. Monsoon, the months between July and September is the best time to enjoy Ayurveda sessions. Explore places to visit with these best customized Kumarakom holiday packages. Nestled amidst the lush green hills of Western Ghats, Wayanad is one of the popular travel destination for nature lovers. The district is an integral part of the Nilgiri Biosphere Reserve, therefore perfect to spend time with nature and indulge in adventures. The emerald beauty of the hills, the mists clouding the roads, thundering waterfalls, uninhibited wildlife, will welcome you to God’s Own Country. 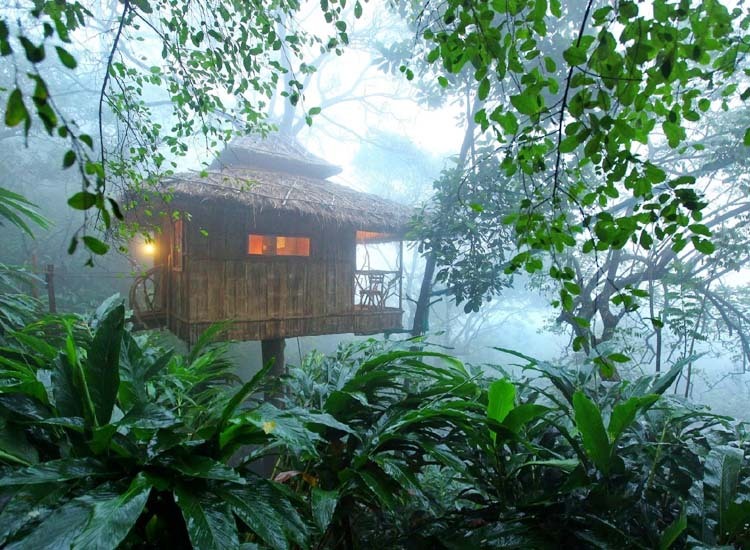 Trekking is the lure for adventure enthusiasts whereas honeymoon couples are enchanted by the charming treehouses. Nearest Railway Station– Kozhikode Railway Station, 110 km. Set in the midst of picturesque natural beauty, Thekkady in the Western Ghats of Kerala is known for the hub of wildlife adventure. 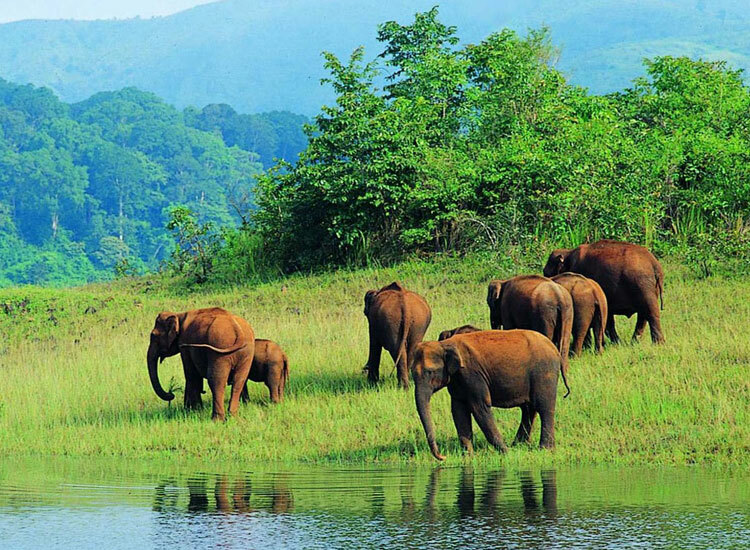 The Periyar National Park in the area is a major tourist destination for wildlife lovers. Set in the captivating locales of Thekkady, nature has blessed the lands with abundant of flora, fauna and adventure. The Periyar Lake set in the national park is particularly of interest. Wildlife safaris on boats are only available here. 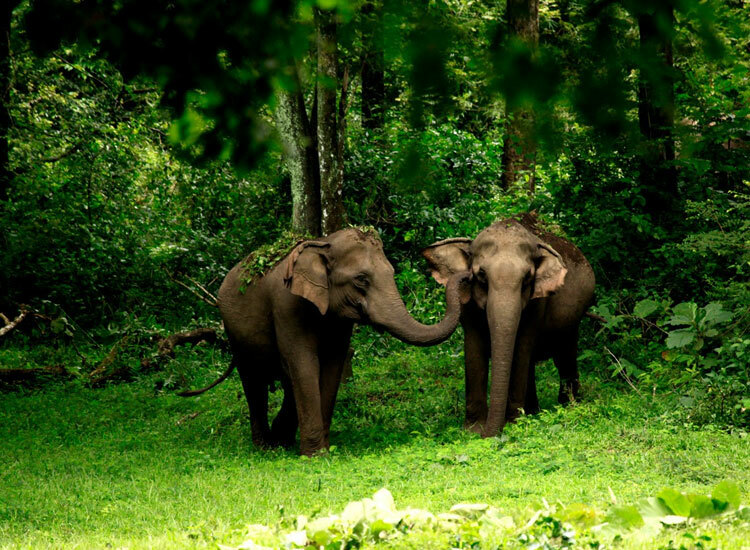 Spot Elephants, Tigers, rare species of birds and other animals unique in the Western Ghats. 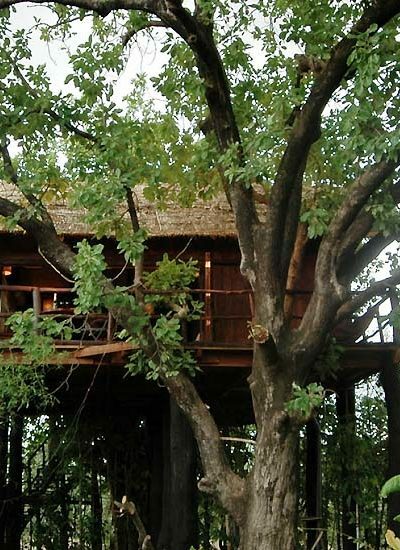 Stay at homestays and eco-friendly resorts. 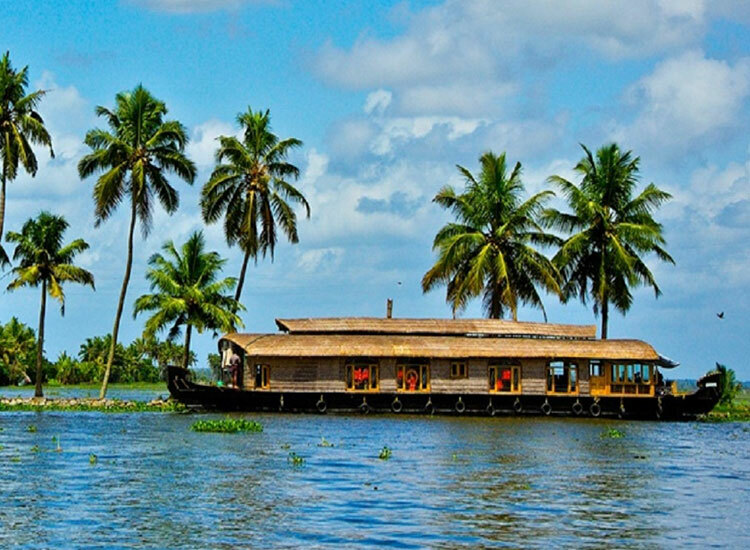 Best time to visit: All through the year, the weather conditions are perfect to visit this part of Kerala. Even wildlife safari does not close for the monsoon, whereas becomes all the more special after rains. Nearest Airport– Kochi International Airport, 160 km away. Nearest Railway Station- Kottayam Railway Station at a distance of 114 km. 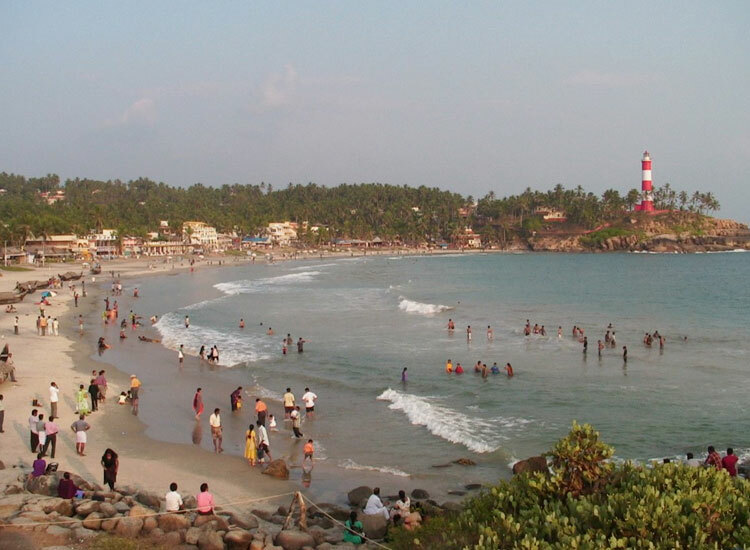 Kovalam is one of the beautiful, fun and relaxing beach destinations in India. The popular tourist destination in Kerala is home to a number of luxury accommodations and many Ayurveda massage centers. Spend time walking along the sandy shores, indulge in watersports, get a luxurious massage, and relish delicious sea food. The serene ambiance of the beach is just perfect for a long relaxed day. The pleasant weather add more charm to this little piece of paradise. The beach lures families, honeymoon couples and even solo backpackers seeking to enjoy the sand, sea and surf. Surya Samudra Kovalam, one of the popular resorts to indulge in Ayurveda treatments. Nearest Airport– Trivandrum International Airport, 25 km away. Nearest Railway Station– Trivandrum Railway Station, almost at a distance of 25 km. 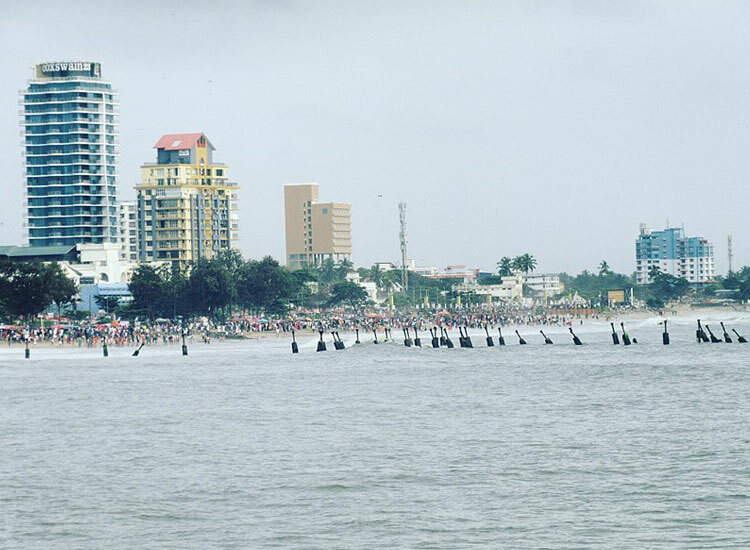 The Queen of Arabian Sea, Cochin is one of the top places to see in Kerala. The coastal city has a legacy of history that traces back to the first colonialists who landed on the shores. Beaches, Museums, Churches, modern tourist delights, there is so much for travelers to explore. The multi-ethnic heritage of the city is reflected in its tourist sights, food, shopping and every aspect of the town. Nearest Airport– Kochi International Airport, 12 km from city centre. Nearest Railway Station– Ernakulam Railway Station in the city. 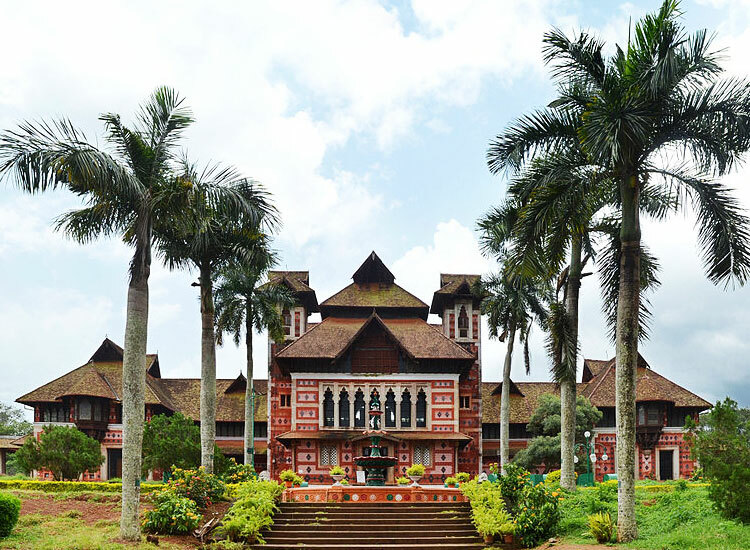 Originally known as Calicut, Kozhikode is famous for its inherent natural beauty, culture, historical sites, educational institutions, and culinary experiences. The town has played a very important role in shaping up the colonial era of India. The Dutch and the British colonial era have left strong influence on the city. Named among the best places to visit in Kerala, Kozhikode is known for its authentic Malabar food. The cuisines are definitely mouthwatering and must be given a try. Kozhikode has everything what one requires to make it a perfect holiday. Best time to visit: August to February is a good time to plan your trip. Nearest Airport– Kozhikode International Airport in the city. Nearest Railway Station– The city is connected with frequent connections plying at Kozhikode Railway Station. When it comes to the unrivalled bliss of Kerala, it’s not fair to not talk about Varkala, one of of the best beach destinations in India. 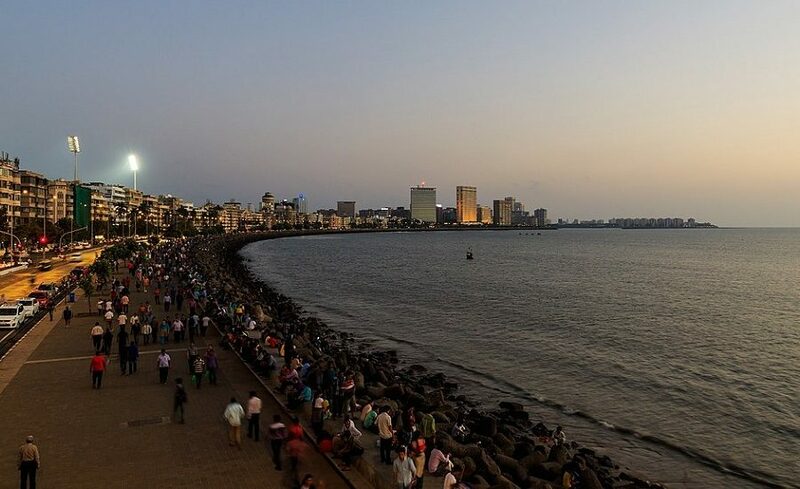 Set along the shores of Arabian Sea, the beauty takes your breath away. The quietude of the beach is noteworthy. Soft sands are lined by lush palm groves and playful waves. 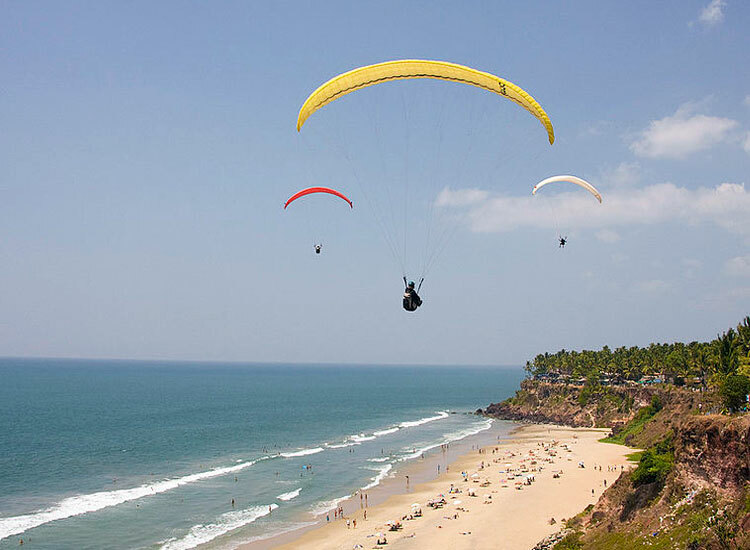 Varkala is quite away from the throngs of tourists and is one of the serene locales. Get an Ayurvedic massage on one of the beach centres and you will be revitalized. Best time to visit: October to February, while monsoon is the perfect time to stay at one of the Ayurvedic resorts in India. Nearest Airport– Trivandrum International Airport, 44 km away. Nearest Railway Station– Varakala Railway Station in the city. Also, close by is Kollam railway station. Now you can plan your trip with our well-planned Kerala holiday Packages and make your vacation more enjoyable. The land of God, Kerala is believed to be a gift of the Arabian Sea. 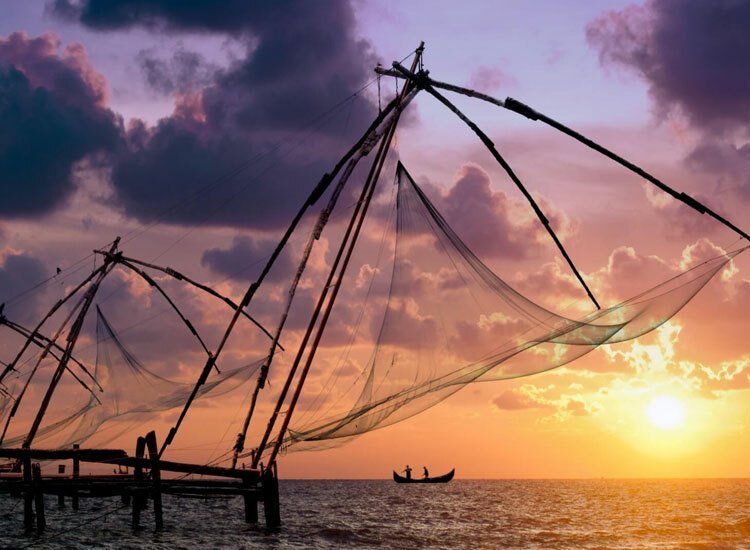 The pride of Kerala are Gorgeous and Exotic Beaches, Breathtaking hill Stations, Enchanting waterfalls, Beautiful lagoons, Meandering rivers and Amazing natural scenarios. Definitely Kerala is God’s Own Country and deserves much more praises. Keep following our blog for more such posts on India travel. Ohh, its amazing post and places you listed. India is one of the great places to visit. As especially Cochin, it’s a great place for nature lover. Thanks for sharing a nice list of places of India. Thank you for your kind words. For more information on India tourism, follow our blog. Last year, I had visited Alleppey in Kerala and I stayed there and I found the backwater is really good.Thanks for sharing other places and beaches also, may be when I visit Kerala I would like to try some of them. Thank you for your kind words. We are glad that you really enjoyed the holiday on the backwaters of Kerala. For other such informative posts on India travel & tourism, keep following our blog. Thank you for appreciation. Follow our blog for more information on India travel and tourism. Thank you for reaching out to us. Kerala is glorious from September to January. You can plan your trip anytime between these months. Kerala is such a beautiful place. Every tourist should visit it once. The best time to visit kerala in monsoon. You are right. Everything about Kerala is beautiful, its beaches, backwaters, the practice of Ayurveda etc. Everybody should visit Kerala to know what true beauty of nature looks like. Thank you for reading the article and providing your valuable suggestions. Keep reading the blog in the future for more such articles and keep providing your valuable feedback. Thank you. Glad to hear your kind compliments. For more posts, do follow our blog. Actually, Kerala is the best place for a holiday. I love this place. Munnar is my favorite place is in Kerala. all-time cold climate and nature are so beautiful. You share the best places for Kerala holiday. Nice blog. It’s very helpful for roaming to Kerala. Thanks! Thank you for your kind words. For more such posts, follow our blog.